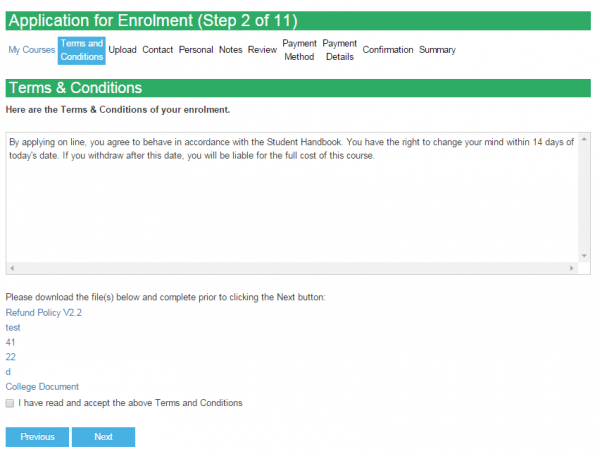 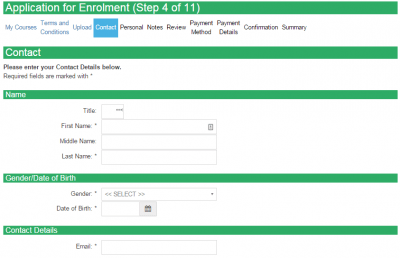 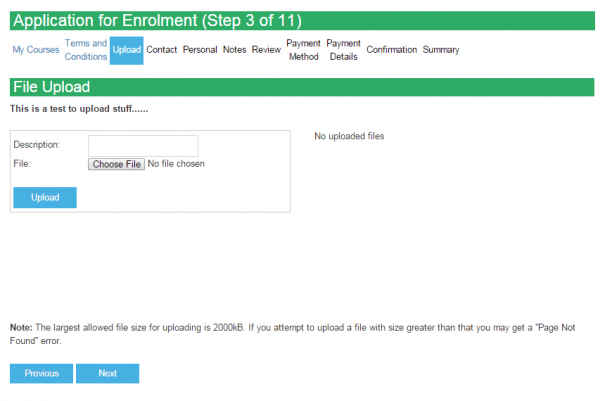 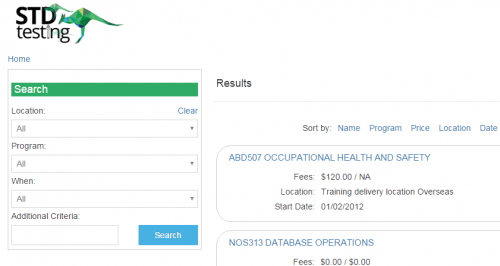 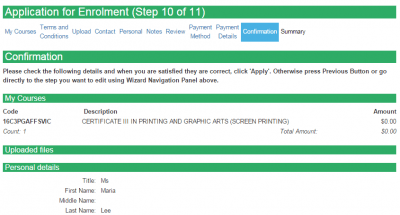 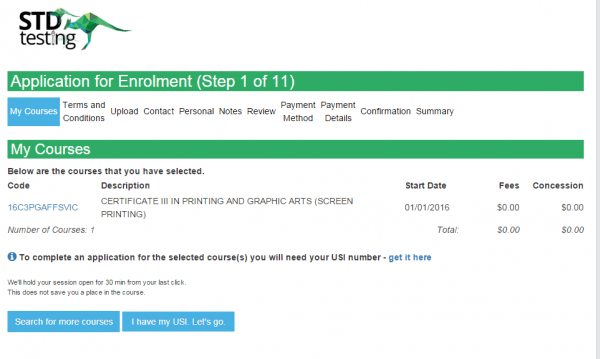 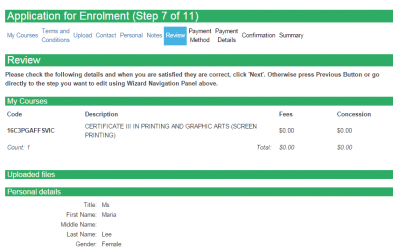 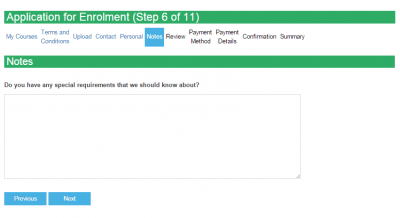 This page will give you an overview of how the online enrolment process works. 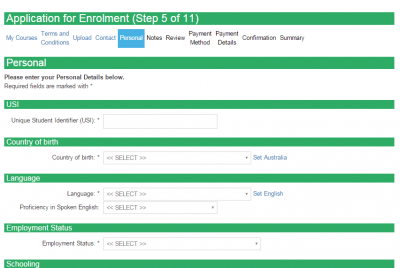 Some of the settings can be turned on and off in your Wisenet Portal settings and please note that some of these settings vary by country. 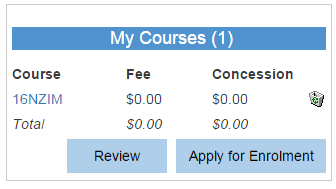 Clicks on Add To My Courses to add to shopping cart (this step can be configured in your Wisenet Portal Settings, e.g. 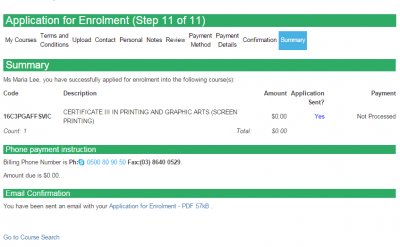 When the application is being processed and you see this on your screen (refer to image), please do not press Back or Refresh buttons as this will resume as an error in your application and it will not go through.